Ngorchen Könchok Lhundrup (Tib. དཀོན་མཆོག་ལྷུན་གྲུབ་, Wyl. 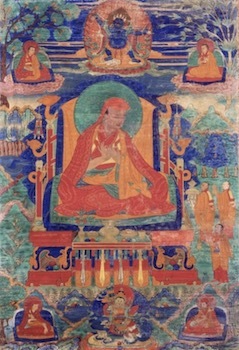 dkon mchog lhun grub) was the 10th throneholder of Ngor Monastery. He was a very prolific writer and bestowed Lamdre 35 times. This page was last edited on 31 July 2018, at 00:33.